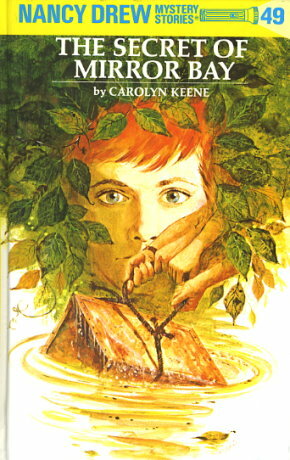 Aunt Eloise Drew invites Nancy and her friends to Mirror Bay Bide-A-Wee cabin near Cooperstown, New York, for a visit and a chance to solve the mystery of the woman who glides across the water. Upon their arrival Nancy becomes mixed up in a vacation hoax because she resembles the young woman involved, and is nearly arrested for fraud. On the wooded mountain near the cabin further exciting events await Nancy and the other girls. There, in the deep forest, a weird luminescent green sorcerer appears who threatens to cast an evil spell on anyone investigating his strange activities. In a dangerous twist of circumstances Nancy finds that solving one mystery helps to solve another. What happens when the young detective and her friends uncover a cleverly concealed criminal operation makes thrilling reading.